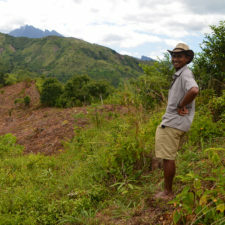 Ho Avy uses reforestation and alternative livelihoods to protect biodiversity in southwest Madagascar. 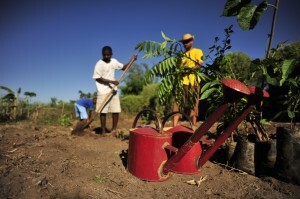 Ho Avy is a grassroots project in the arid spiny forest of southwestern Madagascar. Based on field research initiated in 2007, Ho Avy has designed and developed a unique long-term approach promoting environmental stewardship through alternative and sustainable livelihoods. The organization is a collaborative effort between the Ho Avy association in Madagascar and New Latitude, a US-based non-profit. 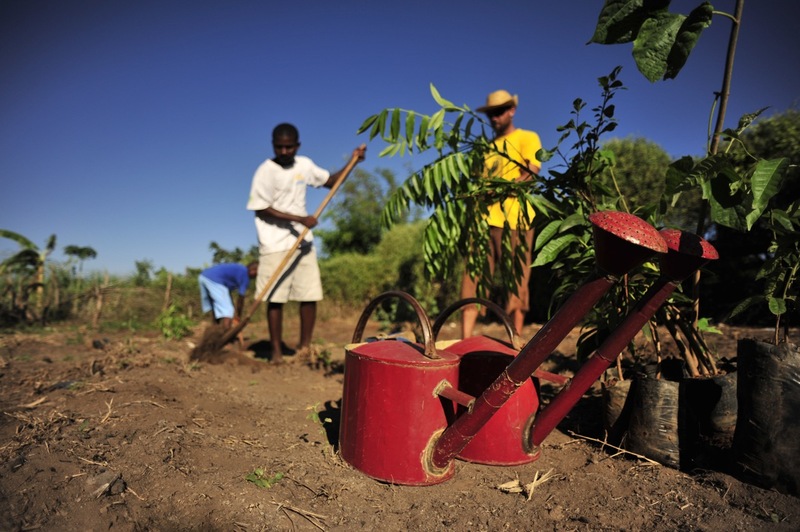 Since 2007, rural farming and costal community association’s have been collaborating with Ho Avy to propagate tree seedlings as part of an ongoing ecological reforestation model, adapted specifically to southwestern Madagascar’s endemic arid forest. In parallel with Ho Avy’s forestry, the NGO has initiated development projects ranging from water infrastructure to local communities, a field/tourism station, and community environmental initiatives including a biogas system, university teaching, advising masters students, primary school gardens, ecological research and conservation. 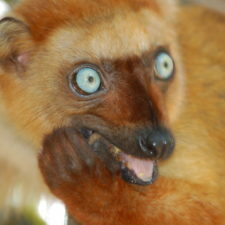 How is Ho Avy protecting habitat for lemur conservation? Achieving high germination rates and survival of saplings (which is critical to achieving rapid reforestation) has been challenging due to southern Madagascar’ arid climate. However, trial and error has made it possible to overcome these hurdles. 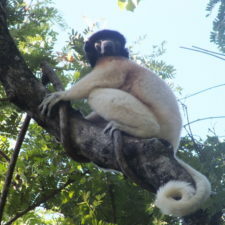 Ho Avy works in the Southern Mikea forest region which has the highest diversity of lemurs and vertebrates in the expansive 6.6 million hectare ‘spiny forest region’. However the current local situation is that humans need a growing amount of resources from the land and sea which until recent times have been seemingly inexhaustible. Therefore, innovative and applied approaches, like ecological forest restoration, are needed to identify practical strategies that mitigate the current trend of extensive habitat loss in the spiny forest. 2) to see if reforestation would be possible with local communities. One thousand trees were planted in the first year. Since then, the NGO has incrementally grown a network dozens of local collaborators at four nursery sites resulting in the growth of more than 100,000 tree seedlings of more than 100 species. 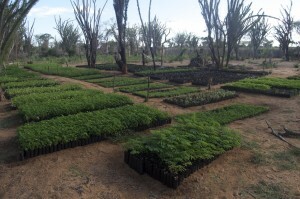 Transplanted seedlings have reforested more than 10 hectares of degraded forest edges with Ho Avy being the only project in the southwest region with a track record of successful ecological reforestation on both upland dry and riparian spiny forest habitats. These habitats are the most critical in the regions for the eight species of lemur. Ho Avy has been undertaking research – in partnership with Malagasy students from the University of Toliara – to help increase the effectiveness of its reforestation efforts. However, habitat conservation is easier said than done in southwest Madagascar where only 2% of the forest is formally protected, and around 1% is deforested every year, the fastest rate of deforestation anywhere on Madagascar. Even though the spiny forest is Madagascar most continuous forest and more than 98% of plant and 90% of animal’s species are endemic to this ecosystem, if comprehensive reform is not enacted quickly, many of these one-of-a-kind-species are threatened by extinction due to habitat loss. Further research is critical to achieving lasting solutions that mitigate habitat loss and extinction of biodiversity in southwest Madagascar. Ho Avy means ‘the future’ in the Malagasy language, and as the name of the project suggests, in Malagasy, the mission of the project is to work towards approaches that adapt to local realities and work in real time to maximize synergies between conservation and peoples well being. Ho Avy has been working towards sustainable and participatory development through a framework named ‘Interactive Restoration’. This means partnering with communities, identifying and protecting terrestrial and marine natural resources, and building logistical and human capacity to promote alternative livelihoods that are ecologically sustainable. In addition Ho Avy is in the process of developing ecotourism and research infrastructure in the spiny forest to help expand awareness, and further opportunities and results for lemur habitat conservation. 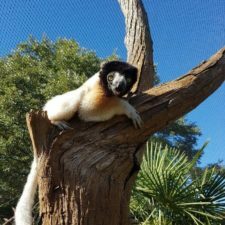 Ho Avy has a detailed plan how this initial infrastructure has enormous potential to catalyze future conservation efforts for lemur’s and countless other endangered species endemic to the spiny forest. Given Ho Avy’s collaborative nature and framework for action, it has established deep relations with the broader community in southwestern Madagascar and will be focusing on three main general themes with local communities: research, environmental awareness/capacity building application and the creation of sustainable alternative livelihoods. In the next year(s) the NGO seeks to scale-up it’s current pilot efforts by establishing a formal Ecological Farm & Forest Regeneration Training Program, adapted to southwest Madagascar. 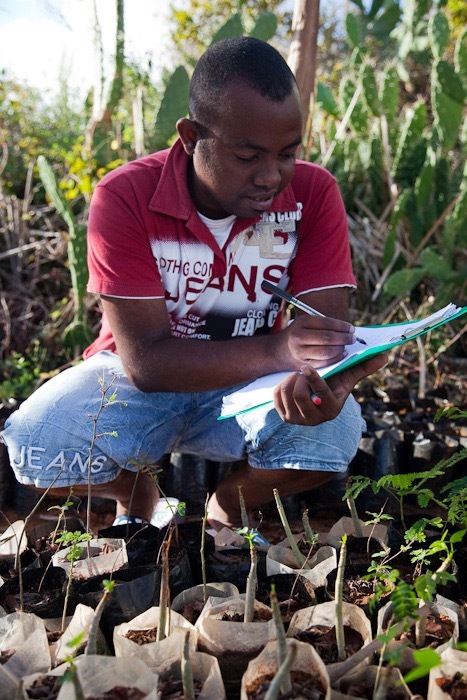 Ho Avy is collaborating with Michigan State University to exact the pilot model, diversity research possibilities, and ultimately to make a broader positive impact on the lives of people and biodiversity in need in the Toliara region. Contact Ho Avy at hoavyassociation@gmail.com to learn more about donating.